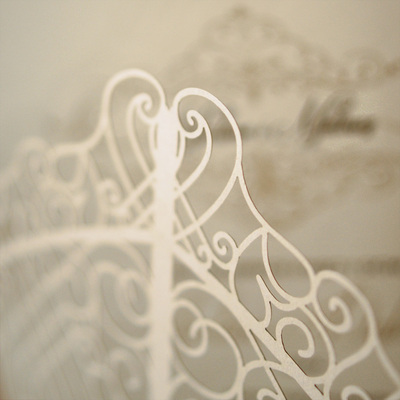 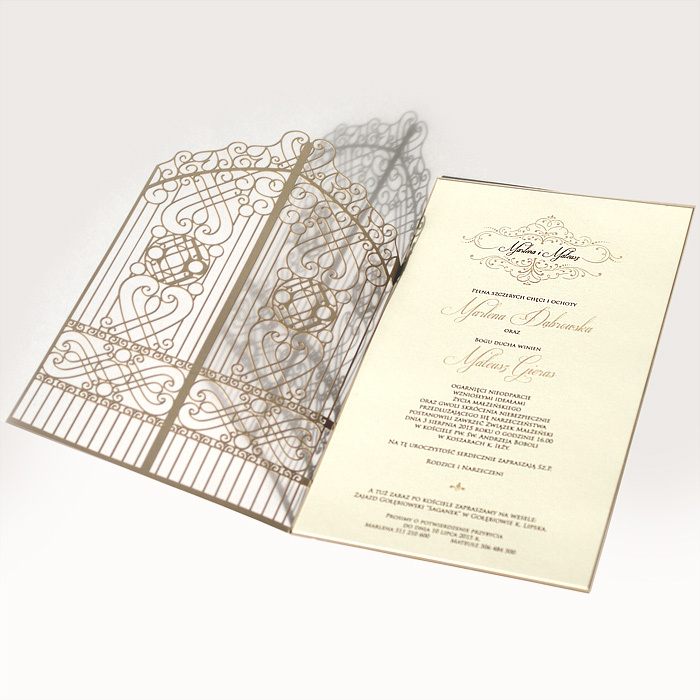 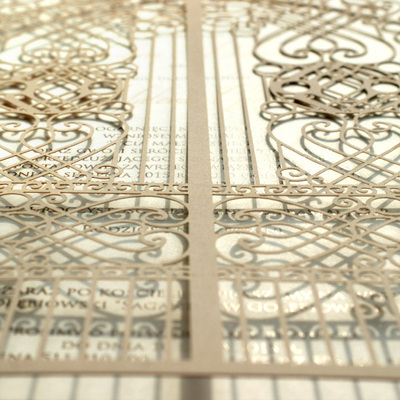 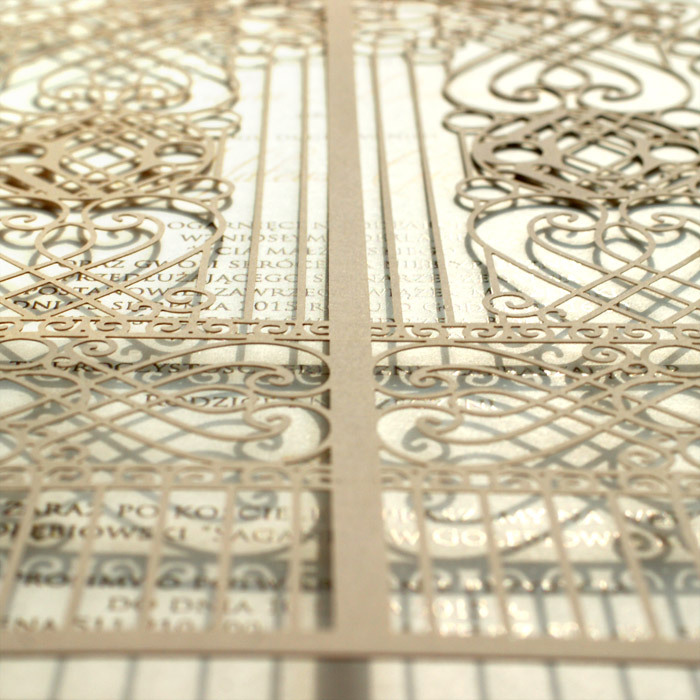 An elegant invitation made from beige rubber paper. 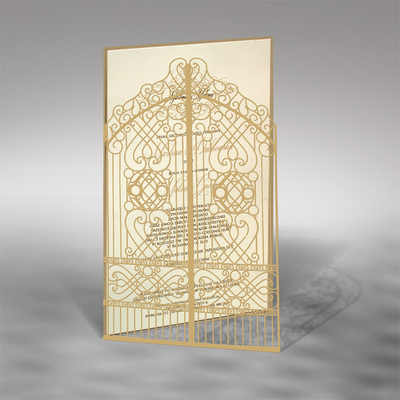 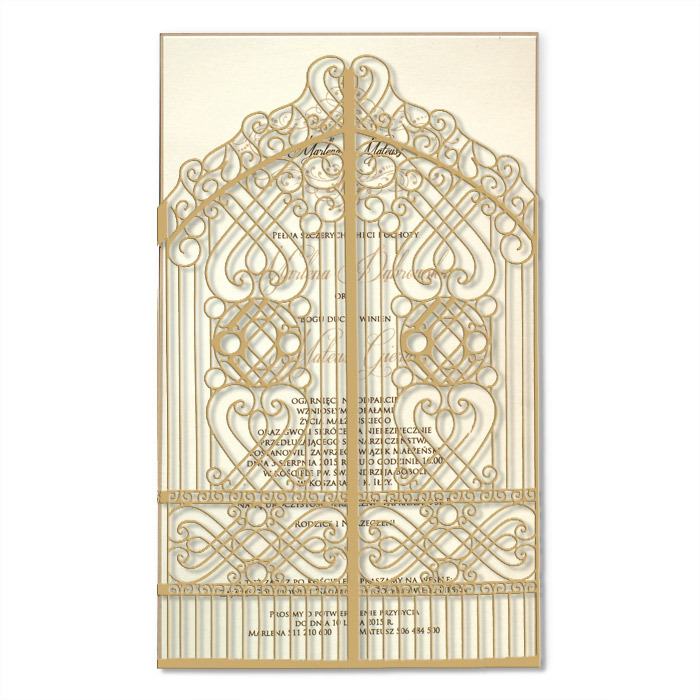 The cover is cut in the shape of a gate. 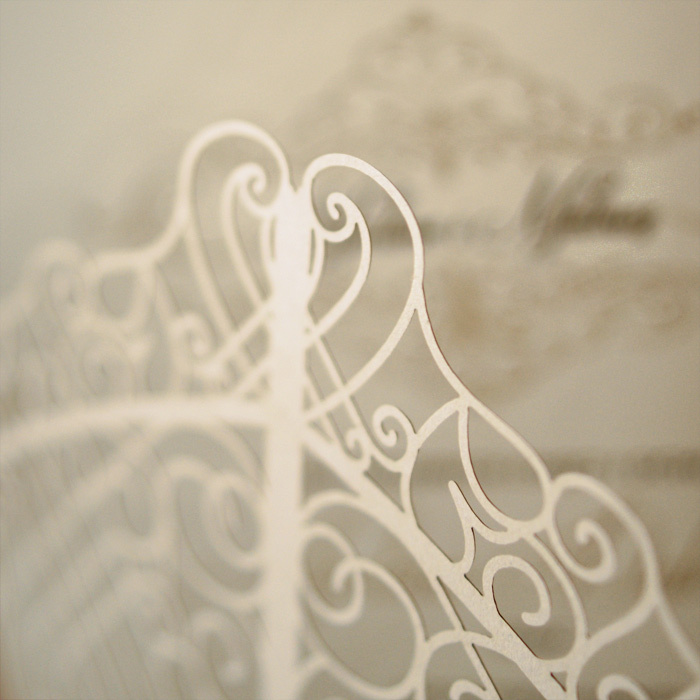 Insert is made from stiff, matt, ecru paper.